Why travel to the arcade? Now kids can play at home, shooting two basketballs for points, cheered on with lights and sound. 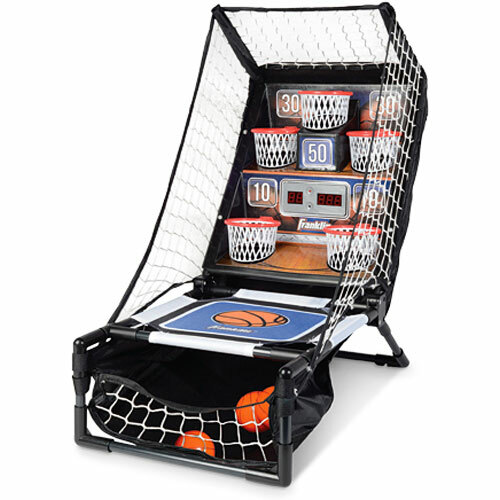 There’s electronic scoring, with authentic announcer sounds, a net on three sides to keep balls in play and auto ball return. Durable and foldable for travel, it’s a winner! Requires 3 AAA batteries, not included. 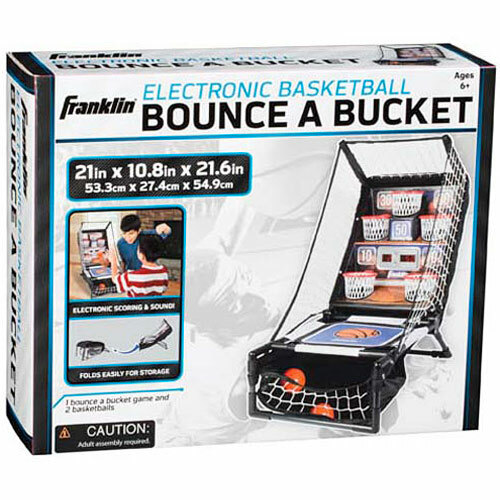 From Franklin Sports, for ages 6-10 yrs.